As part of standard operating procedure, the ISS community has completed a review of the International Space Station’s systems – noting both progress and anomalies on the orbiting laboratory as well as reviewing preparations for the upcoming Dragon, Cygnus, and HTV-3 flights. 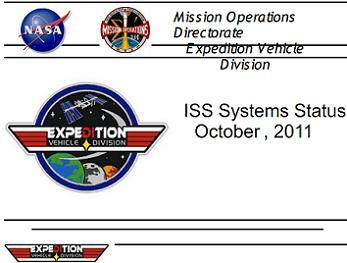 Opening the ISS systems status review was an update on the robotics and EVA systems on the International Space Station. Specifically, the robotics and EVA division noted an amazingly clean performance of all related systems in the preceding months, with no issues being reported. This, coupled with no upcoming robotics activities on the ISS until December, will make for a relatively quiet period of time for the three-person ISS crew through the remainder of October and the month of November. The next scheduled robotics activity on the ISS, in fact, is set to be the walk-off of the SSRMS (Space Station Remote Manipulator System) arm to Node-2/Harmony for “support of the Dragon mission and high-res LEE snare cable photography,” notes the MOD Robotics operations presentation – available for download on L2. EVA systems and support structures also received little mention in the “preceding months” category. However, internal NASA documentation indicated that GMT days 290-292 (Oct. 17-19) and 298 (Oct. 25) were/will be spent by performing system and equipment maintenance in the EVA realm. Specifically, GMT days 290-292 were spent performing maintenance on the NiMH batteries, EMU (Extravehicular Mobility Unit – spacesuit) water maintenance, and crewlock cleanout. Airlock switch recongifuration verification will take place tomorrow, GMT day 298. EMU water maintenance specifically included “extra iodination in preparation for possible de-crewing of ISS” – an added precaution as Russian space agency officials continue to work recovery efforts from the failed Progress resupply craft launch in August of this year. 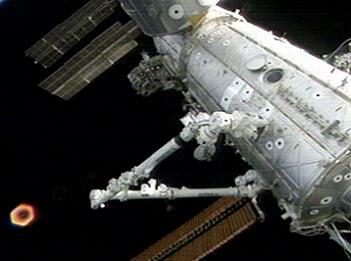 Currently, ISS de-crew is not considered likely as Russian officials track a mid-November (~Nov. 14th) launch of the next ISS crew increment to the Station in a Soyuz spacecraft. The Nov. 14th launch of Soyuz will mark the 111th Soyuz flight since flight operations began in 1967 and the 22nd and final flight of the Soyuz TMA spacecraft – which is being replaced with the upgraded Soyuz TMA-M series. While robotics and EVA operations have been light in recent and upcoming months, general upkeep and maintenance of the International Space Station has continued along with science and research objectives. Specifically, the ISS Systems Status presentation reviewed ISS systems failures and recovery/investigation results from these failures. The first such failures mentioned were two EPS system anomalies. On October 17, crewmembers R&Red (removed and replaced) the RPCM LA1A4A unit to recover redundant power to the Stations’ Ku-band antenna receiver. Likewise, the RPCM LA1B-H was then R&Red the following day to “recover second of two smoke detectors in Lab” (Destiny module),” notes the ISS System overview presentation – also available for download on L2. This resulted in the recovery of all systems from the September 23rd failure. 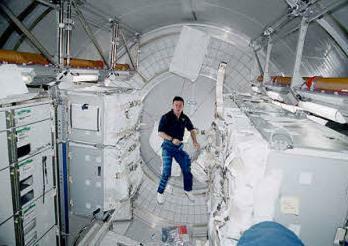 The second EPS failure was an Oct. 12th event in which six of the eight lights in the Permanent Multipurpose Module (PMM) Leonardo turned off because of a recurring software “overcurrent FDIR” unique to the PMM General Luminaire Assembly. The problem was resolved by temporarily disabling the FDIR and repowering all the lights. However, this repowering failed to illuminate any of the six failed lights. The presentation further notes a failure of the Urine Processing Assembly, specifically the Fluids Control Pump Assembly (FCAP). “Failure: UPA Fluids Control Pump Assembly (FCPA) failure. FCPA was able to be restarted several times, but eventually high current draw prevented subsequent re-starts. Impact: Loss of Urine processing function. The UPA cannot operate without the FCPA,” notes the ISS systems presentation. The FCPA was subsequently replaced on September 23rd and the UPA regained full operational capabilities. The final failure mentioned in the ISS systems presentation was a September 30th failure of the Russian Contingency Telemetry asset. 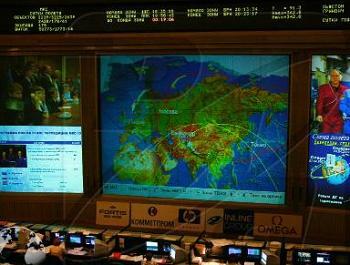 “On September 30th, MCC-H performed a command and telemetry test via the Russian assets. Following a successful test, MCC-M was unable to command Russian Contingency Telemetry (RCT) on or off. This failure meant that Mission Control Moscow (MCC-M) could not command RCT enabled or inhibited and that the crew could not silence a caution and warning tone from the C&W panel in the Russian Segment of the ISS. Station Mode transitions could also not be executed if sent from the SMCC to CCS. Preparations were also made to use the US operating segment of the ISS to send station mode transition commends if needed until the issue could be fully resolved. Mission Control Moscow developed and sent a command to “reverse the ‘Time Authentication’ bit in the SMCC to turn off time authentication for commands being sent from the RS segment to the US segment” on Oct. 5 – which corrected the on-orbit problem. A root cause investigation is still ongoing at this time. 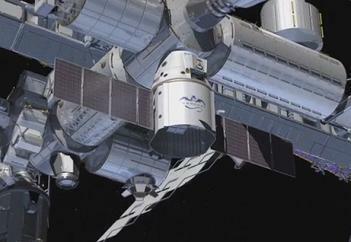 As ISS operations move into their final phase for calendar year 2011, preparations are also continuing for the first approach and rendezvous of SpaceX’s Dragon resupply craft, the first test flight of Orbital’s Cygnus resupply craft, and the third mission of JAXA’s (Japan Aerospace Exploration Agency’s) HTV resupply craft to the International Space Station. In preparation for the upcoming Dragon flight, NASA is in the process of updating all procedural handbooks and procedures themselves to reflect the Dragon configuration that is scheduled to fly the ISS rendezvous mission in December. (45 proc handbooks from the ISS side of operations are available in L2). “Dragon Demo will fly on CCS R9/MSS 6.3/PCS R13. Updating procedures to be consistent with this configuration,” notes the presentation. Additionally, teams are looking at synchronization issues between Dragon and RWS. A short-term mitigation plan for this issue is to include a filter on RWS which will result in an informational hold until three invalid counts have been received before data drops begin. A more long-term solution is being worked to update the RWS software. This update was supposed to have already taken place; however, Expedition 29 crew prioritizations with only a three-person crew have delayed the software update until at least November 28. The requirement for the software update is for it to be in place No Later Than 30 days before the scheduled launch of Dragon. That launch is currently targeted for Dec. 19 – just 21 days after the software update is scheduled to be installed. While preparations for Dragon’s flight continue, work is also progressing on readiness operations for the first test flight of Orbital’s Cygnus spacecraft. “Cygnus Demo flying on new CCS R9/MSS 7.1/R11 Recon/PCS R13 configuration,” notes the Expedition Vehicle Division presentation to MOD – available for download on L2. Open work ahead of this flight, scheduled for January 2012, includes ICATT re-work to “ensure CCS R9 vehicle data path cmds/tlm available with R11 recon and updating procedures affected by data path configuration and PCS R13 navigation changes. End to end testing on these data paths is expected in November. Additional testing will take place in February 2012. Finally, preparations are also underway for the February 18, 2011 launch of the HTV-3 (H-II Transfer Vehicle 3) resupply craft from the Tanegashima Space Center in southern Japan. Only standard open work remains for this flight at this time: updating procedures from this year’s HTV-2 mission to account for flight rule updates and vehicle design changes. 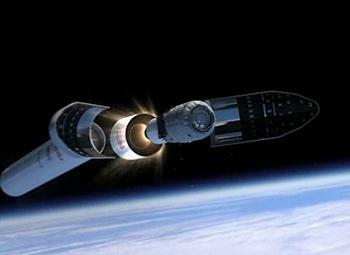 The flight of HTV-3 will also mark the first time when FOR will not be required for HTV.